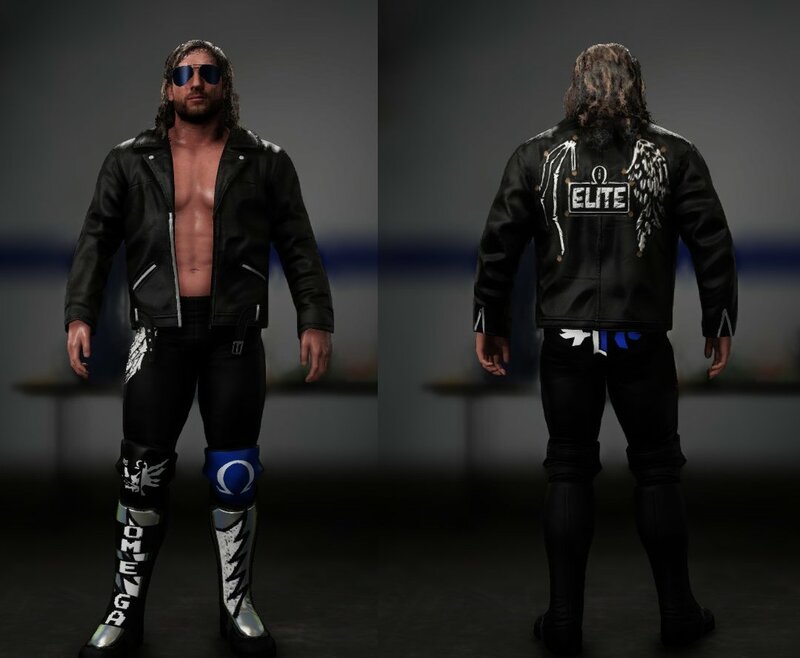 Kenny Omega has already been uploaded to CC! 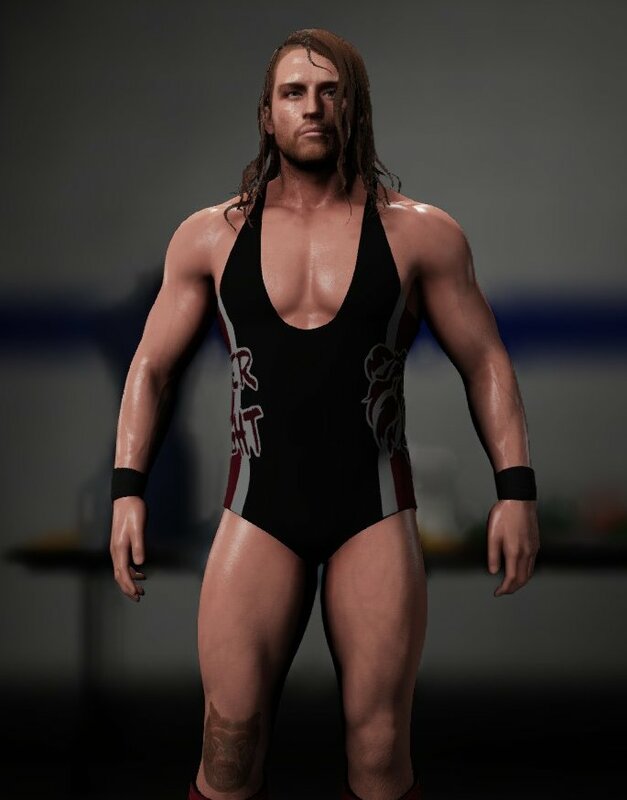 He is now available for everyone without any DLC and his moveset with DLC moves can also be downloaded seperately from the CAW. Hope everyone enjoys and I'll add his screenshots tomorrow. 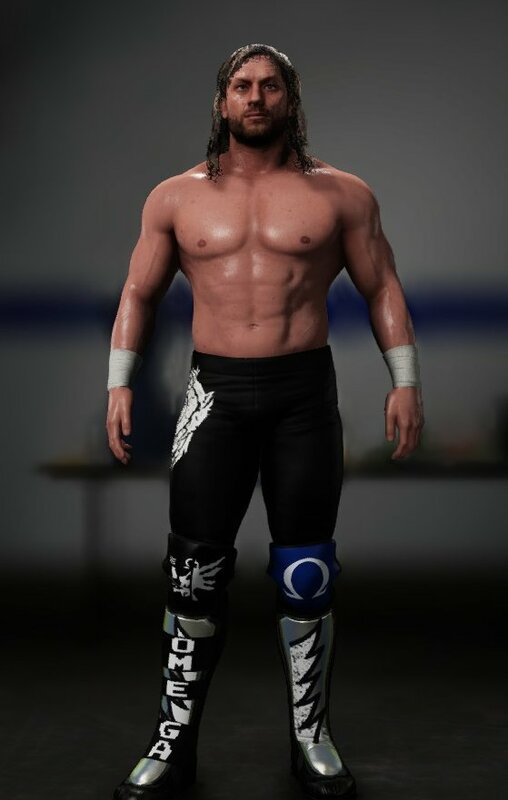 Kenny Omega's screenshots and render have been added to the first page of this topic. -Singlet is done. The white parts look brighter in-game, don't worry! -Still working on the face. your doing incredible work my friend, do keep it up. Pete looks amazing! I've seen someone else use Seth Rollins' hair for Pete and it looked good. He also has a bit of a beard going nowadays. Thanks! I actually had Seth's hair first but I thought it looked too long but I'll give it another chance. I'll add some beard and give an update as soon as I can. 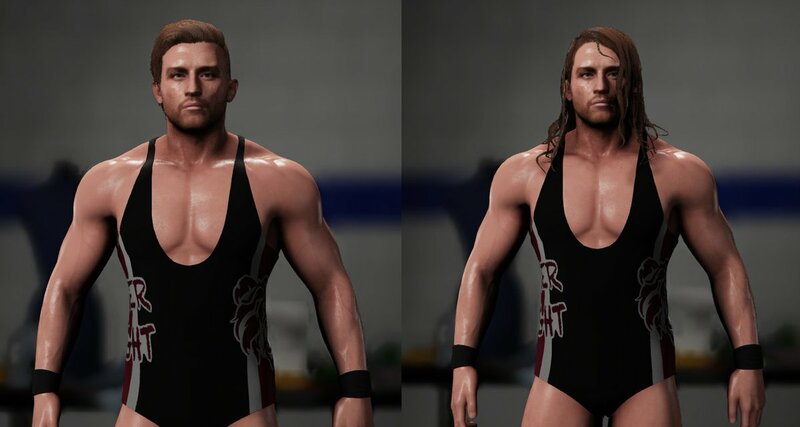 I would use both, as you suggested, a diffrent hair for each attire. Thanks for the suggestion! 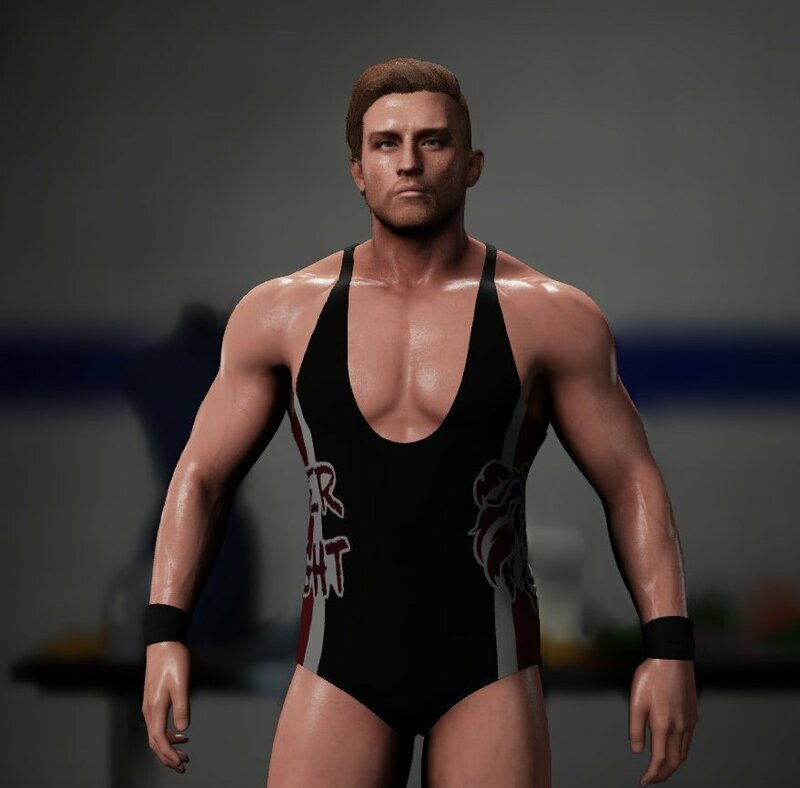 I will use one for each attire since people have been giving me different answers about the hairstyle, I'll use the long one for the first attire and the short one for the second attire. -Updated his face and body morph a little bit and dye this hair to make it look like he has his side shaved. -I will use the other hair for the 2nd attire. Any feedback is welcome!